In 3D computer graphics, 3D modeling is the process of developing a mathematical representation of any three-dimensional surface of object (either inanimate or living) via specialized software. The product is called 3D model. The new comers could also know that the 3D modeling software is a class of 3D computer graphics software used to produce 3D models. Individual programs of this class are called modeling applications or modelers. There are many 3D modeling software. Some are freeware and others are commercial that means paid. Among them also some are 3d rendering, but other is not. Solid – These models define the volume of the object they represent (like a rock). These are more realistic, but more difficult to build. Solid models are mostly used for no visual simulations such as medical and engineering simulations, for CAD and specialized visual applications such as ray tracing and constructive solid geometry. 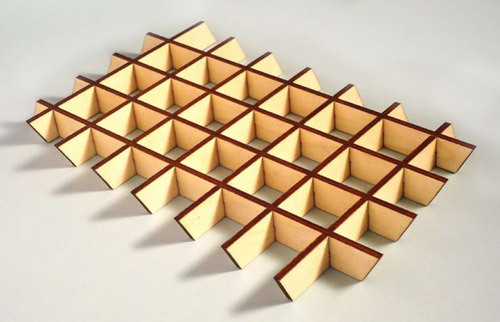 Shell/boundary – these models represent the surface, e.g. the boundary of the object, not its volume (like an infinitesimally thin eggshell). These are easier to work with than solid models. Almost all visual models used in games and film are shell models. Polygonal modeling – Points in 3D space, called vertices, are connected by line segments to form a polygonal mesh. The vast majority of 3D models today are built as textured polygonal models, because they are flexible and because computers can render them so quickly. However, polygons are planar and can only approximate curved surfaces using many polygons. Curve modeling – Surfaces are defined by curves, which are influenced by weighted control points. The curve follows (but does not necessarily interpolate) the points. Increasing the weight for a point will pull the curve closer to that point. Curve types include nonuniform rational B-spline (NURBS), splines, patches and geometric primitives. Digital sculpting – Still a fairly new method of modeling, 3D sculpting has become very popular in the few years it has been around. There are currently 3 types of digital sculpting: Displacement, which is the most widely used among applications at this moment, volumetric and dynamic tessellation. Displacement uses a dense model (often generated by Subdivision surfaces of a polygon control mesh) and stores new locations for the vertex positions through use of a 32bit image map that stores the adjusted locations. Volumetric which is based loosely on Voxels has similar capabilities as displacement but does not suffer from polygon stretching when there are not enough polygons in a region to achieve a deformation. Dynamic tesselation is similar to Voxel but divides the surface using triangulation to maintain a smooth surface and allow finer details. 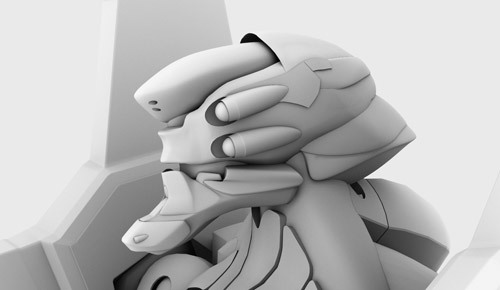 These methods allow for very artistic exploration as the model will have a new topology created over it once the models form and possibly details have been sculpted. The new mesh will usually have the original high resolution mesh information transferred into displacement data or normal map data if for a game engine. A large market for 3D models (as well as 3D-related content, such as textures, scripts, etc.) still exists – either for individual models or large collections. Online marketplaces for 3D content, such as TurboSquid, The3DStudio, CreativeCrash, CGTrader, FlatPyramid, NoneCG, CGPeopleNetwork and DAZ 3D, allow individual artists to sell content that they have created. Often, the artists’ goal is to get additional value out of assets they have previously created for projects. By doing so, artists can earn more money out of their old content, and companies can save money by buying pre-made models instead of paying an employee to create one from scratch. The 3 Dimensional Printing (3D Printing) is a process for making a physical object from a three-dimensional digital model, typically by laying down many successive thin layers of a material. It is often called additive manufacturing (AM), reasons the additive nature of process in which successive layers of material are laid down under the computer control. A 3D printer is a type of industrial robot. Now a day, 3D printing with SketchUp is more than just prototyping. It offers transformative advantages at every phase of creation, from initial concept design to production of final products and all steps in between. Today’s competitive environment makes choosing the right 3D printers more important than ever. The first widely available commercial application of human virtual models appeared in 1998 on the Lands’ End web site. The human virtual models were created by the company My Virtual Mode Inc. and enabled users to create a model of themselves and try on 3D clothing. There are several modern programs that allow for the creation of virtual human models. 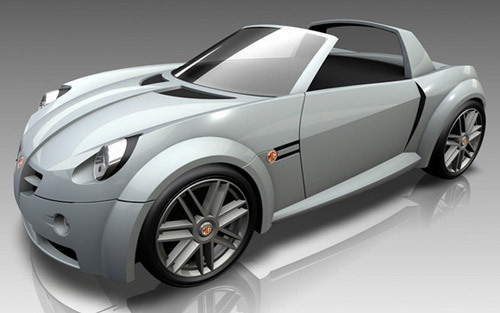 3D modelling is used in various industries like films, animation and gaming, interior designing and architecture. They are also used in the medical industry for the interactive representations of anatomy. A wide number of 3D software is also used in constructing digital representation of mechanical models or parts before they are actually manufactured. CAD/CAM related software are used in such fields, and with these software, not only can you construct the parts, but also assemble them, and observe their functionality. The 3D modelling is also used in the field of Industrial Design, wherein products are 3D modeled before representing them to the clients. In Media and Event industries, 3D modelling is used in Stage/Set Design. SketchUp is a gift to a designer. A designer knows the importance of angular dimension and editing the same is not too tough. 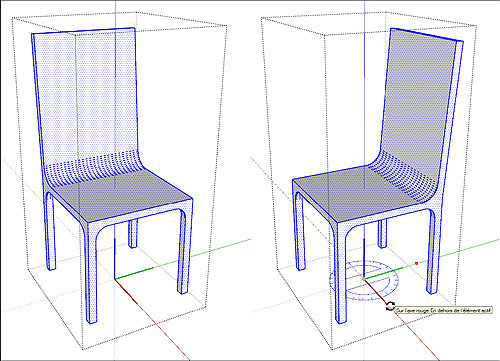 A designer can edit the dimension string with SketchUp, length of the extension lines, and length of the dimension line after you have created an angular dimension. The dimension string’s position relative to the dimension line. The dimension string’s position relative to the screen. The units, scale, and precision represented by the dimension. Refer to The Dimension Style dialog box for further information on Dimension Style dialog box options. The Dimension Style dialog box is used to adjust dimensions-specific settings such as text alignment to the dimensions line. A designer can also modify individual dimension elements, such as the length of the extension lines or the contents of the dimension string, after you have created a dimension. Following image shows an angular dimension in Lay Out. Editing individual dimension elements is possible here. An angular dimension is a group consisting three lines and text string. The first line, called the starting witness line, extends away from the start point of the dimension. The ending witness line extends away from the end point of the dimension. The dimension line is an arc perpendicular to the start and end witness lines and represents the angle. The dimension text is tied to the dimension line and displays the angle in degrees. Double-click on a dimension to access its individual elements. Following is an image of an angular dimension after it has been double-clicked. Notice that there are seven points on the dimension that can be manipulated: vertex, connection points, offset points, and extent points. With the use Google sketchup and the slicemodeler plugin its possible to create laser cut 3D shapes that snap together without glue. Download and install sketchup, then download the svg export plugin and the slice modeller plugin. Install the slice modeler and svg export plugins in google sketchup: Window > Preferences > Install Extension. Navigate and select the rbz plugin files. 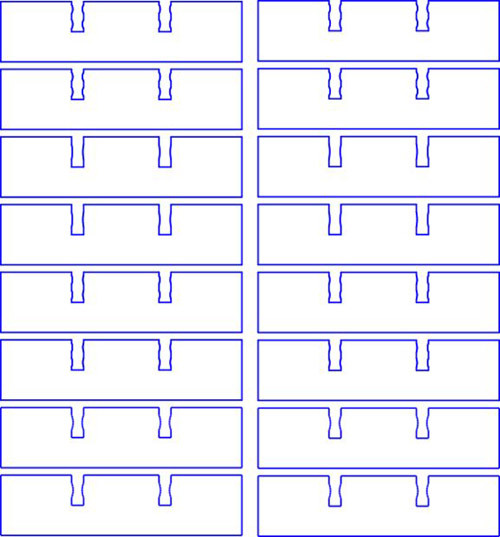 The glue-less design is achieved by placing small curved bumps (nodes) in each slot. The curve of the bumps allow the parts to slide together but provide enough pressure on the material to fit together snugly. There are multiple factors that will influence the size and number of the nodes, including slot length wood thickness and wood density. I highly recommend creating parts with different size and numbers of nodes so you can find the best fit that works for you. You might want a very hard fit that needs to be tapped together with a rubber mallet or you might want a fit that can be assembled by hand without any tools. The only way to find the fit that works for you is try different size nodes. See this article for more about nodes. My trivets are made out of 4mm Italian poplar Plywood and I found that a single node 5mm wide and having a 0.16mm bulge made a good fit, that could be snapped together by hand. However different materials will need different node sizes and you need to figure out what works for you. Next we’ll create a test object in sketchup to test how various size nodes work with your chosen material. My test object is 2cm high and 7cm wide and 7cm long. Using a square test object shape means all the slices will be the exactly the same. A test object of these dimensions should be enough to gauge how well the different size nodes work. The height is the most important factor to get right. So make sure you create a test object with the same height as your end goal design. 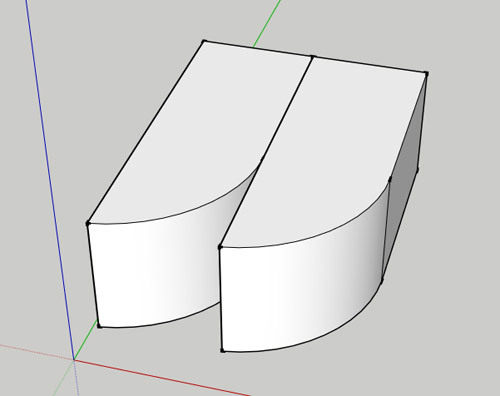 Open sketchup and create a square 7cm by 7cm and extrude it 2cm up. Now its time to slice it up. Select the object and convert it to component by selecting all (ctrl-A) right clicking on the object and select “make component”. Leave the component name as the default one. IMPORTANT sliceModeler changes the model it’s slicing so make sure to make a copy of it. To do this select the model and copy and paste a copy (ctrl-c ctrl-v). slice thickness to the thickness of your material, in my case the Italian poplar is 4mm thick. Leave other settings as the default. Click ok and say yes to “adding a number to each slice” and yes to leave the original hidden. For the Y orientation dialogue leave everything as default and click yes to “leaving the original section hidden”. Click yes to “make flatten copies”, leave minimum gap as default. You now have flattened slices and an “assembled” model to work with. Next step we’ll add the nodes to a slice. It time to add the nodes to a slice. I find it easiest to work in a new sketchup file. Since this model is square all slices are the same so you only need to copy 1 slice. SliceModeler exports the 4 slices as 2 groups. To copy a single slice double click on the group to edit the group and click on a single slice. Double check the whole slice is selected and copy it (ctrl-c). 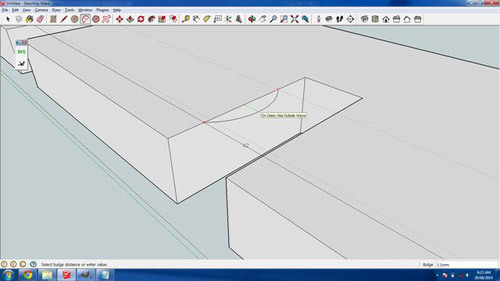 Open a new sketchup window (ctrl-n) and paste your slice in (ctrl-v). Zoom into your slice and select the top down view. Your slice should be positioned as per the image above. The node we will create will be 5mm long and have a bulge height of 0.16mm. Click on the tape measure tool and drag a guide from the left edge of the slice and set it’s distance to 2.5mm. Now create another guide and set it’s distance to 7.5mm. Using these guides will ensure the node length is 5mm. Next we’ll create the node bulge. Zoom right into one of the interlocking slots in the slice and use the orbit tool to view the gap at an isometric angle as pictured above. Select the arc tool and create an arc between the two guides as pictured. Make sure the arc is orientated along the green axis. The line in the arc will change green to indicate you are on the right axes. Set the bulge height to 0.16mm. IMPORTANT to create a continuous outline vector for the laser cutter you need to delete the line behind the arc as pictured. Now repeat the arc for the other side of the slot and the same again for the 2nd slot. You will now have a slice surface with 2 slots and 4 nodes that can be exported to an svg. To export the slice svg out of sketchup select the top down view and select none (ctrl-T) then select the surface you just created the nodes on (it will be the top surface). The selected surface will be covered with small dots. Now export the svg by clicking on the flight of idea SVG icon. Deselect “export annotations for faces” leave everything else as default, enter a filename and click ok. Open the file in inkscape and you will see the outline of the slice as per the screen shot. I use ponoko’s laser cutting service to cut my test slices. If you use a different laser cutting service follow their instructions. For the rest of this step I’ll be talking about ponoko’s inkscape template. 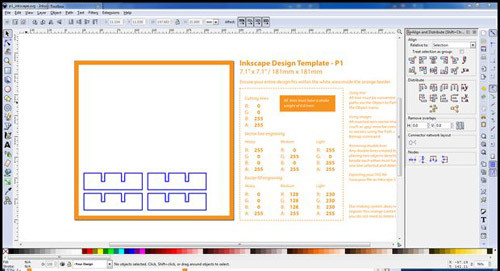 Download ponoko’s inkscape template from here. I used the p1 18x18cm size template. Open the exported slice svg in inkscape, select all (ctrl-A) and copy (ctrl-C). 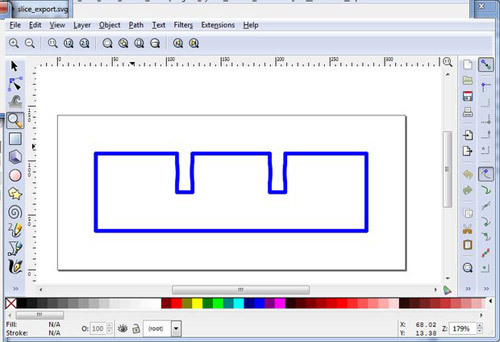 Open the ponoko inkscape template and paste the slice (ctrl-v). Because the test object is square you can simply paste in three more slices so you have a total of 4. Arrange the four slices into a rough 2×2 grid. You want the slices all nicely spaced and aligned so its less movement for the laser. Open inkscape’s align and distribute dialogue (shift-ctrl-A) select the left 2 slices and click center on vertical axis do the same for the right 2 slices. Do a similar thing but horizontally. The end result is 4 nicely aligned slices as per the screenshot. Ponoko is very specific about the template’s cutting line color and stroke width. For cutting lines the line color must be solid blue and have a stroke weight of 0.1mm. To set the correct color and stroke weight, open the fill and stroke dialogue, select all (ctrl-A) and double check the stroke paint is R:0 G:0 B:255 A:255 and in the stroke style tab set the width to 0.01mm. The cutting lines in the template should be barley visible. Before uploading the template to ponoko do a sanity check of the cutting vectors. The easiest way to do this is select outline display mode (view -> display mode -> outline) and zoom right into each vector and make sure there are no gaps that will result in an unclean cut. Your done! Your now ready to upload the template to ponoko for cutting! However I see much more space in the template for slices with different node sizes. In the next step I’ll discuss experimenting with different node sizes. (A double node is where you have 2 smaller nodes in a slot, this gives better stability then a single node but its harder to assemble). With the 4mm Italian poplar I found the 0.4mm single node too hard to assemble by hand. I also found the two double node test objects too hard to assemble. I did find the 0.2mm possible to assemble by hand but it was a touch harder then I’d like, so I dropped the node bulge to 0.16mm. And when I received my next ponoko order the 0.16mm bulge height was quite easy to assemble by hand. It also provided firm interlocking parts that “click” together. Now back to your test object(s). Once you have received your order from ponoko your now ready to assemble the test objects. But first write on each slice which node configuration it is, as its easy to forget. Now attempt to assemble each test object while taking notes on how hard or easy it is to assemble. If you find the right balance between ease of assembly and “fit” then your done. Otherwise if none work, take note if the fit is too loose or tight and repeat the process. Congratulations! 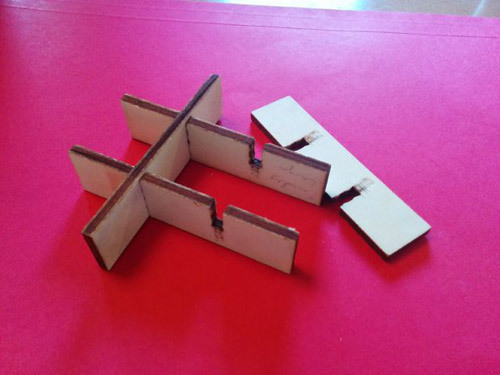 You can now make awesome interlocking laser cut products that can be hand assembled and don’t require any glue! 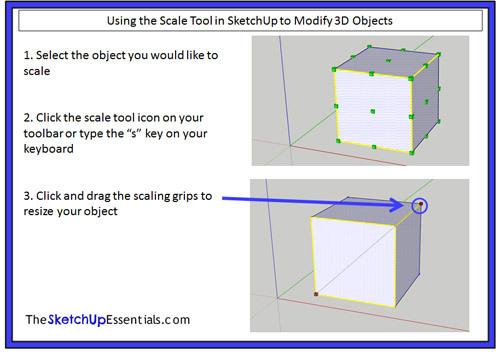 In this tutorial, I want to talk a little bit about using the scale tool to work with three dimensional objects. First, let’s take a second and review where the scale tool is located. Look up at the top of your screen for a little icon that looks like a brown box inside a red box with a red arrow coming out of the corner. This is the scale tool. 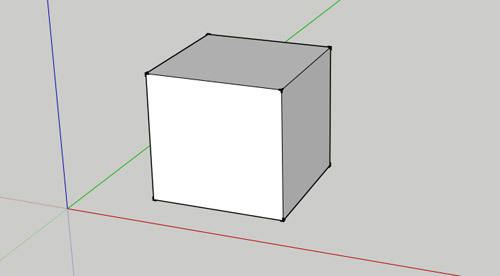 Let’s start off by drawing a box, then extruding it into a cube. 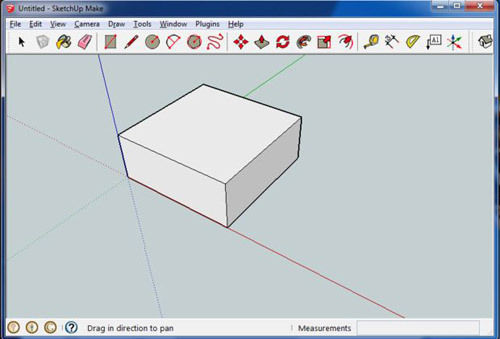 You can draw the box using the rectangle tool, and then use the push-pull tool to extrude it into a 3d shape. Once you’ve done that, you should have a shape like the following image below. I want to start off by talking about how you select your object when working with 3D shapes. When we were working with two dimensional shapes, it didn’t really matter how you selected your object because you were only dealing with a single face. However, with a 3D object, this isn’t the case anymore. You can select any of the individual faces on your cube and scale them without scaling your entire cube. This is useful, but it can also deform your shape, so you have to be careful. Let’s start by selecting our entire cube. Select the whole cube by dragging a select box all the way around it. If you’ve done this correctly, all the bounding edges and faces in your model should be shaded blue, like the image below. These grips work exactly like the ones we talked about in the two dimensional scaling tutorial previously. You can click and drag any of these grips to resize your object. Like with our 2d objects, if you want to scale them uniformly, it’s best to use the corner grips. However, if you want to scale your object along only one axis instead of scaling your whole object, you can use the other edge grips. For example, if I wanted to keep my box the same length and width, but I wanted it to be shorter, I’d select the edge grip in the middle of the top face of my box. While this would make my box shorter, I would only be changing my object along one axis while keeping the other two axes the same, meaning that my object’s proportions would be different. The scaling grips work exactly the same way they did with the two dimensional objects, meaning if you want to scale your object precisely, you can click once on your scaling grip, then type in a decimal value and hit the enter key on your keyboard. This will scale your object based on the value you entered. A value of .5 would make your object half the size it was before. A value of 2 would double the size of your object. This is especially useful when dealing with objects that you download from the 3D warehouse, because a lot of those objects are not drawn to scale, so they need to be resized either bigger or smaller to fit in your model. For example, I did a quick model of the room that I’m sitting in now, using objects from the 3D warehouse to furnish the room. 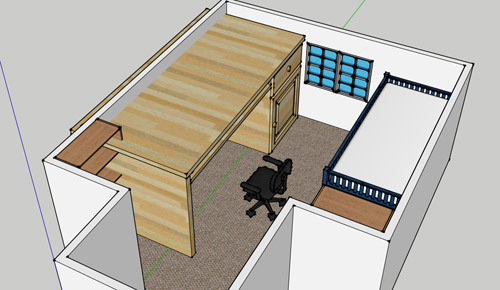 As you can see from the image below, the desk that I selected is far too large for the room I’ve drawn. It’s taking up an entire wall, and it’s taller than the windows in the room. What I’d do to make it fit is click on it once to select it, then activate the scale tool and click on one of the corner grips (because the corner grips scale your model while retaining its proportions). I’d drag the corner grip until my desk is resized properly and it looks like it fits in the room. Also note that if you want to scale an object while retaining its proportions, but you don’t want to use the corner grips, you can also use a modifier called “uniform scaling.” To use the uniform scaling option of the scale tool, simply hold down the shift key while resizing your object with the edge grips. 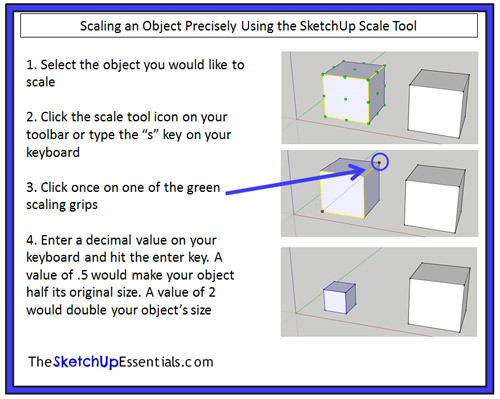 This allows you to scale your object using any of the edge grips while still retaining your object’s proportions. Now we’ve talked a lot about using the scale tool to resize a complete object, but the scale tool can also be used to resize parts of objects in order to adjust shapes. 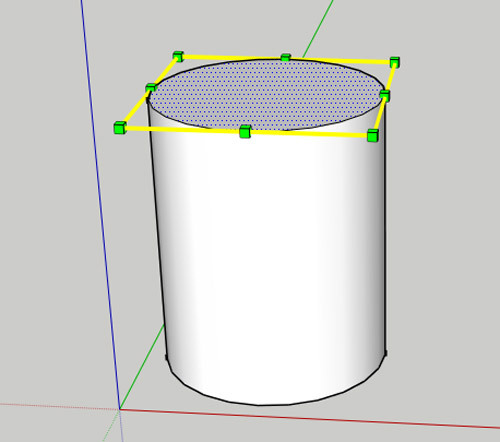 For example, let’s draw a cylinder by drawing a circle with the circle tool, then extruding it with the push pull tool. This will give us an object that looks like the image below. Now, select the top face of the object by clicking on it. Once you’ve selected your top face, activate the scale tool using the “s” key. You’ll notice that you get scaling grips only around the top of your cylinder. This is because you’re only going to scale this one face. Click and drag one of the edge grips. As you can see, the size of your top face changes, and SketchUp resizes the rest of your model accordingly. However, let’s say you wanted to make this entire face larger in all directions at once, instead of just one, so you can retain symmetry in your model. To do this, you would use the “About Center” modifier. This modifier works the same way in 3D objects as it does in 2D objects. What you would do is select your top face, activate the scale tool, and select one of the corner grips. Once you’ve selected one of your corner grips, hold down the “Control” key on your keyboard. 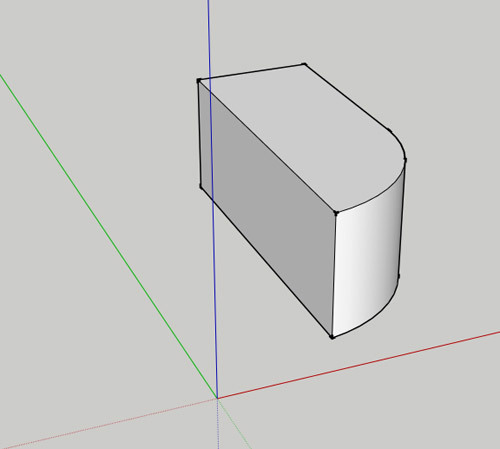 What this does is force SketchUp to scale your top face around the center of the face you have selected, instead of about a fixed point on the opposite side of your face. 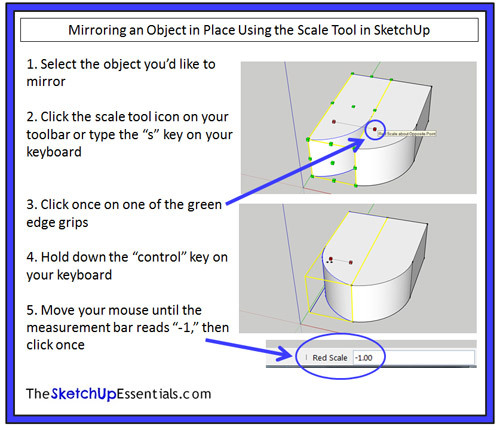 As we discussed in the two dimensional scaling tutorial, SketchUp does not come with a dedicated mirroring tool (it does contain a tool that allows you to flip your objects about an axis). 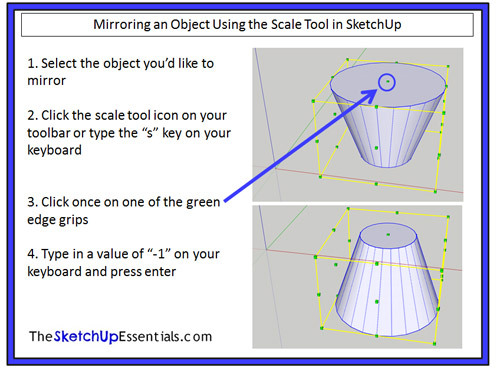 If you want to mirror an object (flipping it so it maintains proportions), the scale tool has this functionality. Let’s use the cone we created above as an example. 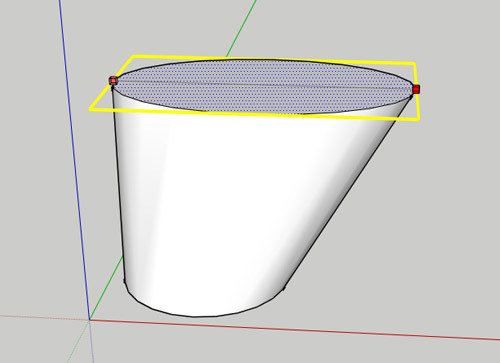 I’d like to flip this cone over so the wider face is facing down, instead of up. There are two ways to do this. The first way is to select your object, activate the scale tool using the “s” key, and click on one of your edge grips. Then type a value of “-1” on your keyboard and hit enter. This will mirror your object about the opposite edge grip from the one you selected. 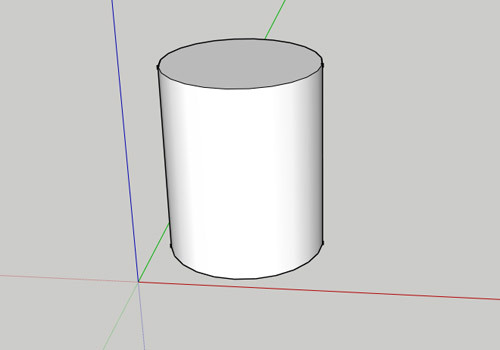 This is an good way to mirror objects in SketchUp. However, sometimes, you want to mirror 3D objects in place instead of moving them with the scale option. To do this, we’re going to use the “About Center” modifier to the scale tool. 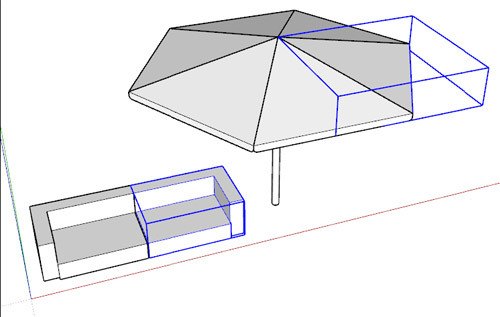 Here’s a great example – sometimes in SketchUp, you want to copy and mirror components when working with symmetrical objects, because then you only have to spend time modeling half of your object, and the other half will automatically update with your changes. Let’s say you have a 3D shape like the one below. I’ve made it into a component, and I’m going to create a copy using the move tool. Now if I used the method discussed above to mirror this object, I’d have to mirror my object, then move it so the sides are aligned the way I want them. Since I already have my object where I want it, I’m just going to mirror it in place using the “about center” modifier of the scale tool. Before I do that, I want to mention one of the great things about the scale tool. If you go ahead and select the copy of the object that you just created, then activate the scale tool, you can see that your scaling grips are blocked by your first object. 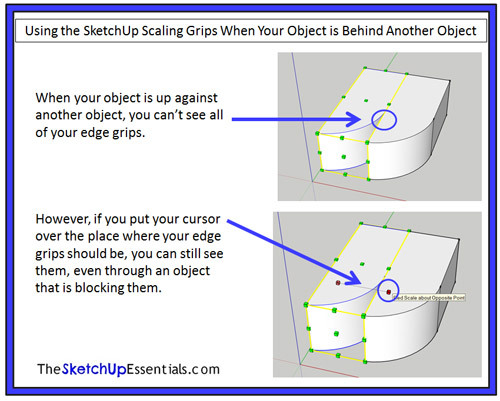 However, if you place your cursor in the area where your grips should be, SketchUp will show you your grip, even if it is behind another object. This will mirror your object while keeping it in the same location. The nice thing about this is as long as we are modeling an object that is symmetrical (the same on both sides across an axis), all we have to do is make changes to one half of our model and the other half will change as well. 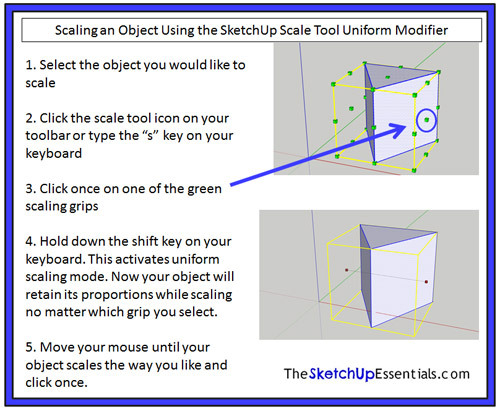 As you can see, the scale tool is a very powerful, useful tool that can really help you harness the full power of SketchUp. If you can incorporate it into your modeling workflow, it can save you a lot of time and effort. 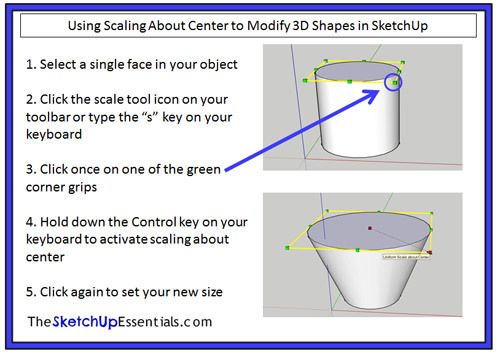 In my article Doing MUCH MORE with SketchUp components, I introduced you to the various(and numerous) uses of the components in SketchUp. And I am pretty sure this article has convinced you of their interest. But their clear benefits can be greatly reduced when these components are poorly designed, which is more the rule rather than the exception in SketchUp’s 3D Warehouse. 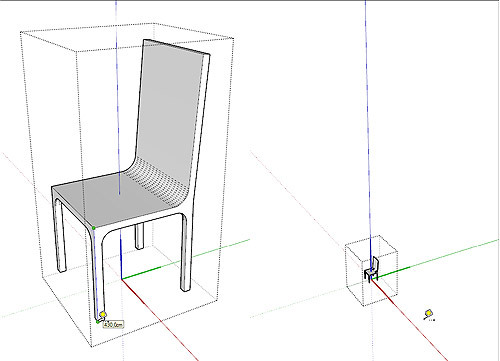 NB : Do it yourself by searching for « tuto chaise » in the 3d Warehouse and import the component I use in SketchUp training. 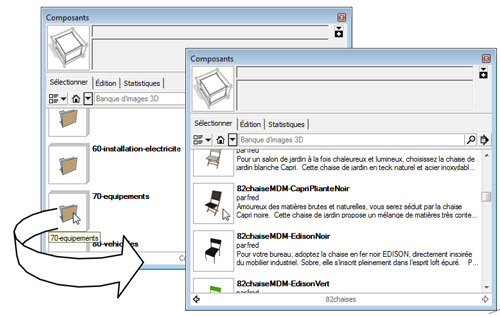 Select the component « TUTO Chaise à optimiser 2.0 ». A component is often cluttered with useless elements. This can be edges, faces, guides, images, or other components or groups. Be sure to display all the entities of the component ! Remember to make all layers visible and display hidden geometry from the View drop down menu. On the chair you just downloaded, you will instantly notice Susan but, when displaying hidden entities, you will also find a hidden guide and a hidden box. Now open the Layers dialog box and check both Google Earth Snapshot and Google Earth Terrain visible. Now delete all the entities that are not part of the chair. For a chair, it will be on the ground plane, centered in the middle of the seat. This way, you can replace the seat component with another one larger (or shorter) or higher (or smaller) seat with the Reload command. To find the correct axis origin for this chair, draw a diagonal line from two opposite chair legs. Next, select all the chair entities and move it with the Move tool from the Midpoint of the diagonal line to the Origin of the axes. Delete the diagonal line. 3 Orient the axes of all your components in a homogeneous way. By orienting all your components homogeneously, you will be able to replace a component by another using the Reload command without having to rotate all copies of the component in your model afterwards. For example, I chose to always orient the back of the chairs and seats to the green positive axis. For now, the chair’s back is oriented to the negative red axis. Select all the chair’s entities and use the Rotate tool, using the origin of the axes as center point, to rotate the back to the green positive axis. NB : To replace a component, rightclick on the component you want to replace, click on Reload in the context menu and browse your hard disk to select another (optimized) SKP file. Click Open to validate the change. If necessary, adjust the scale of the content of the component using the Tape Measure tool. For this, double-click on the component to edit the component and measure an item that you know the correct length, for example the seat height of a chair. The actual measured value is displayed in the Measurements area. Then type in the correct measurement, pressEnter and confirm when SketchUp asks if you want to resize the active group or component. NB : Another benefit of using the Tape Measure tool is that scaling occur from the origin of axes wich is not the case with the Scale tool. The Tape Measure tool is also much more accurate. The chair is more than ten times too big. To correct its scale, measure its seat height (430cm) ant type 42,5cm then validate the change. This step is not absolutely necessary, but if you insert a component that’s having parts in otherlayers, these layers will also be inserted into your model, which is not always desirable. The chair component has 3 unnecessary layers : Bois, Google Earth Snapshot and Google Earth Terrain. You can select them and click on the Delete layer icon (« minus » icon). 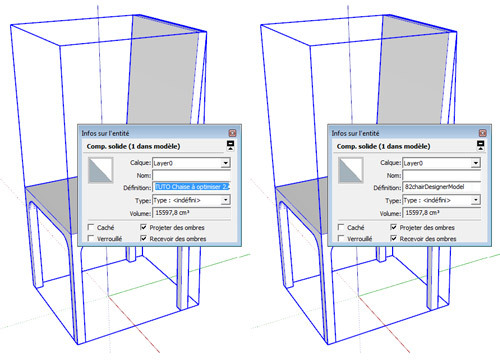 Keep the default option to move entities on the deleted layer to the default layer Layer0 because most entities of the chair are in the Bois layer. It is very interesting to give your components meaningful names. This way, you can easily select and even filter components from the Outliner dialog box. I personally use a Belgian classification system (or more exactly a part of) name BB/SfB developped by the Régie des bâtiments, a public service that manage most of the Belgian federal real estate. The best part of this classification, for me, is the use of two digits to identify an architecture element. For example, exterior walls begins with 21, interior walls with 22, floors with 23, and so on. Add 10 and you get the secondary parts like 31 for exterior windows, 32 for interior doors and so on. With 10 more you got the finishing… All architecture parts have their coding, from the earth to the furniture. With those two digits, all parts are automatically sorted and you can easily find and select a component or a named group in the Outlinerdialog box. It’s a huge time saver. If needed, close the edited component and select it. In the Entity info dialog box, give it a meaningful name. Following my classification, I would name it 82chairDesignerModel where 82 is for mobile furniture and where I would replace Designer by the name of the designer or the manufacturer and Model by the name of the model or a serial number. It may (hopefully seldom) happen that the component is georeferenced, that is to say, it has geographical coordinates of longitude and latitude. In this case, when it is inserted into your model, you can not determine its insertion point, it is automatically placed at the origin of the axes. To remove those geographical coordinates, you must first save it into a collection, that is to say in a folder on your hard drive or network. Then open the SKP file that you just saved. Then click on the drop down menu File > Geoposition > Clear location. And save your model! If the component contains textures, make sure they are not too high resolution. 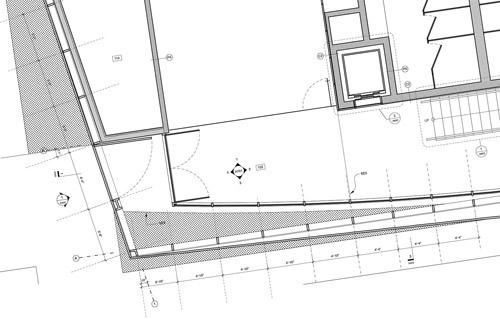 In SketchUp, it is generally unnecessary (and unproductive) to use images in high resolution as textures. In most cases, an image that do not exceed 512 to 1024 pixels wide will be amply sufficient. Similarly, to reduce the size of the SKP file, choose the JPEG format (not too compressed to avoid compression artifacts) to one of the other available formats. If your image has an alpha transparency layer, use the PNG format, which is also a great choice if your image has few different colors (like a drawing in black and white). 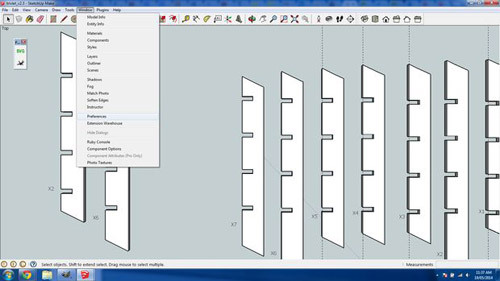 Your component is now ready to be used easily in other SketchUp models. Enjoy ! 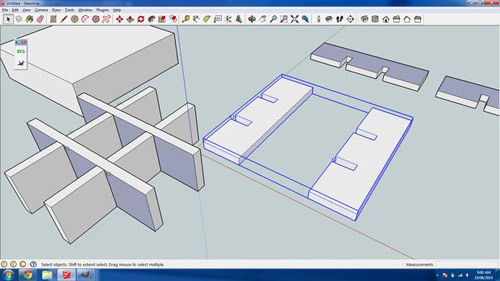 If you have any practical experience of SketchUp, you’ve probably already used components. But if you’re like most users, you have only scratched their true potential. Do you wonder what it is ? 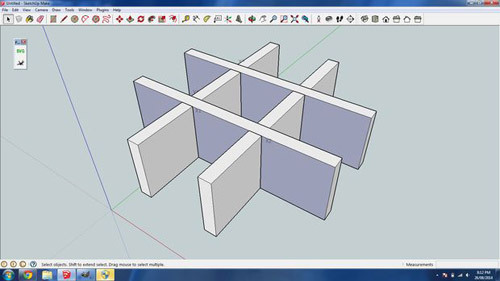 Like groups, SketchUp components are used to separate a selection of entities from the rest of the model. This way, it’s then possible to select a set of entities with one click and manipulate it with a tool like the Move tool or the Rotate tool. This is the only solution to avoid that lines and faces, even if they are on different layers, intersect and stick with each other. As stated above, layers do not allow a selection of lines and/or faces to separate from the rest of the model. The components are, along with the groups, images, texts and dimensions, the only entities to be placed in other layers as the default layer (Layer0). You can control the display of entire entities ‘families’ by placing groups and components representing similar objects into individual layers that you can switch on and off with one click. For example, you can place all the furniture into one layer, all the vegetation in another and so on. You can also switch on or off a selection of layers by creating Scenes (but that’s another story). By hiding the rest of the model while editing a component, you are working on a part of the model without being bothered by the rest. For example, you can work on the interior of the first floor of a building without the floors above masking it. It is also possible to hide similar components if necessary. To hide the rest of the model while editing a component (or a group), click on the View drop-down menu > Component Edit > Hide Rest of Model. To hide similar components (copies of a component), click on View > Component Edit > Hide similar components. By moving the Move tool over a component (or group), you see little red crosses on the sides of the bounding box. By moving the cursor over one of these crosses, you can rotate the object around the central axis of the bounding box. Useful to quickly design a space by moving and rotating items of furniture or decoration with a single tool ! Unlike copies of groups or selections of entites, all copies of a component are changed at once when you edit one of the copies. But don’t worry: it is always possible to separate one or more copies of a component of other similar components by making them unique. To make a copy or a selection of copies of a component unique, right-click on the selection and choose Make unique in the context menu. A mirrored copy of a component model that allows you to model only half of a symmetrical object. Radially symmetrical objects can also be divided into identical slices that all radiate from a central axis. All changes to one of the components will be automatically reflected on the mirrored part(s). Unlike groups, the components may be stored outside of the model, in collections of components. These components are then reused in other models. The most famous collection is the 3D Warehouse of SketchUp, accessible from the web. But the ideal is to create your own collections of optimized components (insertion point, denomination, removing unnecessary elements, the component level, etc.) or from downloaded components either from your own. You can import a component either from the Components Browser dialog box or fromImport drop down menu (with SketchUp SKP File type selected). You can also create a « Face me » components, 2D components facing the camera to simulate a 3D object. This is the case of the character of Susan that automatically appears when you open a standard models in SketchUp. It is thus possible to use a photograph for simulating a complex 3D object as a tree or a person. Composed of far fewer faces and edges, the display of these 2D elements is generally much faster than their equivalents modeled in 3D. By setting an alignment option when you create a component, the component automatically orients itself (and “glue”) on the clicked face when inserted from the Components dialog box. You can choose among the options Any, Vertical, Horizontal or Sloped to glue the component to a face. You can choose the orientation of the component by clicking on the Set Glue plane button to change the default position and orientation of the axes of the component. Each alternative is contained in a component that can be saved outside the model. You can then replace it with another variant. This way, you can replace, in just a few seconds, the top floor of a building or the thousands of seats of a football stadium. Pay attention though ! To be able to replace a component by another, both components should have their axes positionned and oriented accordingly. For example, to replace a chair by another, you should place the origin of the axes on the ground, on the center of the chair, with the back consistently oriented along the same axis (I chose the green axis). Solids tools to perform Boolean operations (union, intersection, subtraction of volumes, etc.) only work with solid groups or components. Warning: the new object obtained from the use of a Solid tool is always a group. So there is no real advantage to create component in this case except you can immediately give it a name that make sense at the creation (see next paragraph). The components being named at the time of their creation, they can be easily sorted and selected from the Outliner dialog box … As long as you give them a name that has meaning ! Keeping the default name given by SketchUp (Component # 1) has no benefit. It is also easier to hide and reveal from this Outliner dialog box. Also, by nesting components and groups, ie by creating “parent” component containing other “children” components or groups, you can organize the different parts of a complex model. From simpler, with just custom attributes (for example indicating a brand, a model, a price, etc.) to more complex dynamic components that can be changed and/or moved parametrically. 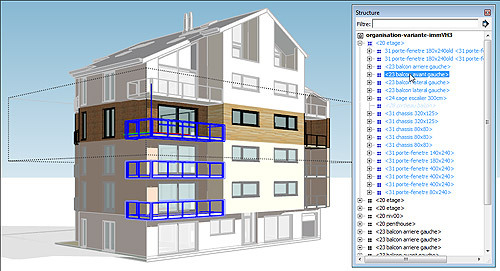 Dynamic components can be used by the free version but you need SketchUp Pro to create them. The Entity Info dialog box display the volume of a solid group or component. 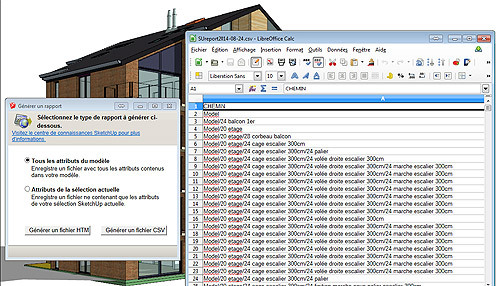 You can use the tool Generate Report (SketchUp Pro) to extract data from custom attributes and other information from a selection of components or from the whole model. Many plugins or extensions that boost the capabilities of SketchUp will only work with components or groups. What a huge range of possibilities !… To try the SketchUp component is to love it! I am absolutely convinced that the SketchUp components will save you much time. NB: If you want to take full advantage of SketchUp components and create your own collections of quality components, do not miss my article How to optimize SketchUp components imported from the 3D Warehouse ! SketchUp is a simplified and mostly recognized 3D Modeling software among various 3d modelers and 3d artists. 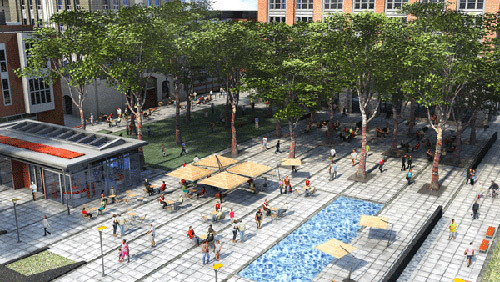 With V-Ray for SketchUp, the 3d professionals will be able to apply powerful rendering technique to visualize their models with photorealistic look. V-Ray is compatible with sketchup and it facilitates the users to integrate the processing task inside its existing flows. Sao Paulo based DRC institute is offering 40 hours exclusive course on request. The motto of this course is to provide proper training to the students for generating a Photo-realistic objects and 3D image efficiently. In order to participate, the students should have the basic knowledge on dimension. This course will be useful for engineers, architects, decorators, designers, designers of all specialties, games, professional graphic artist etc. Modeling concepts in space and layout sheet. Print styles and standard and special formats. Plotting with concepts of scales. 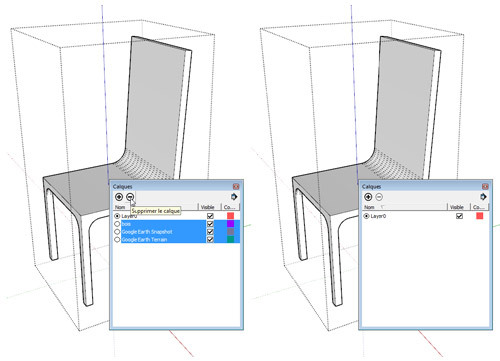 Be familiar with all the sizing tools in SketchUp, creating and editing quotas. Import and export of drawings, images and other elements. Final product with earlier treatment of objects drawn in isometric perspective to be used and in other three-dimensional software. Final product of photo realistic images for final presentation of the project. 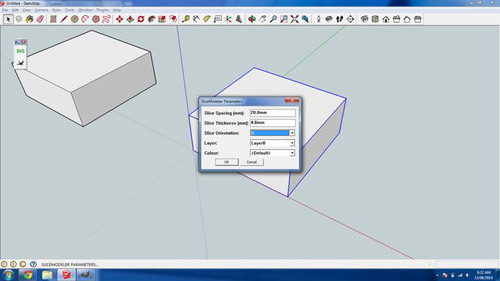 Knowledge with SketchUp’s interface and its methods of access to commands. Focusing on the fundamental concepts regarding vanishing point and the Cartesian system. Understanding the V-Ray, construction materials, editing materials, lighting Daytime and Night. Spatial treatment Workplan and visualization techniques. Formation of external lighting, internal lighting, Building materials, importing materials, Editing and saving materials. Application of the Palette First Steps (Lines and rubbers). Construction of lines, circles, arcs, polygons and other objects. 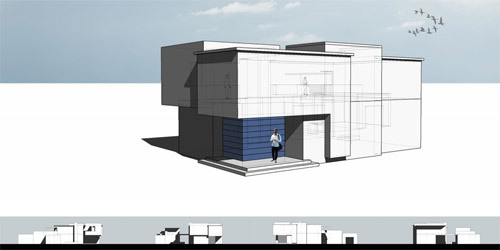 Application of models and objects generated through SketchUp. For application materials and internal and external lighting. Proper application of editing tools: Copy, move, rotate, stretch objects. Editing intensity of lights and materials. Exchange with other software editing texts. Manipulation of textures, properties, scales and editing. Exercises projects with texts and textures. Location and use of models. Save models and conceptualizing electronic library located on your computer or the Internet. The users can modify a dimension string to include supplementary information like the name of the dimension. However, changing the value results in the string to no longer update at the time of resizing the dimension. To select, double-click on the dimension. In order to select the dimension string, click on the dimension string. To open the dimension string for editing, click on it. Type in a. Press Enter (Microsoft Windows) or Return (Mac OS X) to add extra lines. Position the cursor away from the dimension string. Click the mouse button. The dimension string is updated. Note: Empty the dimension string’s contents to allow the string to update automatically because the size of the dimension is changed. Marion Landry has over 18 years of experience in Architectural Visualization, working with a range of software including Autodesk 3ds Max Design and Autodesk Showcase, presented this tutorial with tri-parted video. 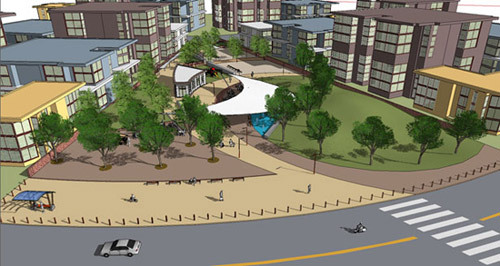 This tool was fully integrated to 3ds Max Design and known as Civil View toolset. 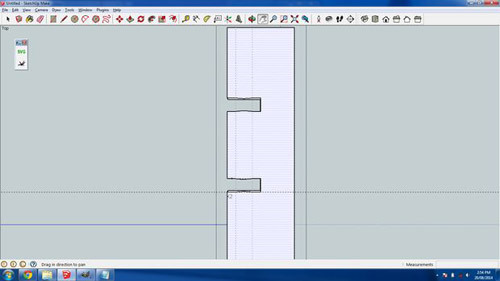 Starting with 3ds Max Design 2012, this tool was fully integrated to 3ds Max Design. The workflow shown in this demo is still fairly accurate today and does have a lot of great information that can be useful to you.